, gained bestseller status in Europe, though it’s lesser-known in the U.S..
After some difficult years, his Renault business, now known as the Glencullen Group, improved, and Cullen began expanding into other areas. He was heavily involved in raising money for various charitable causes, but never forgot his humble roots. 1. Being poor is nothing to be ashamed of. Cullen’s father, Billy (or “The Da”) spent years in the military, and was one of the street wardens during WWII. Billy was strong, had a reputation for honesty and was a ‘Pioneer,’ or teetotaller. However, he had difficulty finding steady work that paid well, forcing Bill’s mother, Mary Darcy (“The Ma”), and her mother, Molly, to help out by selling fruits, vegetables and occasional fish on street markets. While Molly was working, her daughters cooked supper and watched the younger children — or helped out at the stands, as well. Billy would also help out when needed. And everyone took an active part during the Christmas season, when Molly and Mary added more stands to sell gifts and Christmas decorations to customers near the bus stations. Cullen also sold empty wooden fruit boxes to bystanders for a look at the game — when they got excited during key moments and broke the box, he sold them another box — then salvaged the broken bits and marketed them later as kindling. Each of his sales didn’t amount to much. But together, they brought in serious money. 5. Nothing stays the same. Cullen was said to have made millions when Renault took over his interest in the Glencullen Group in 2007. He also hosted four seasons of the European version of The Apprentice. He had other awards and honors given to him, including Irish Motor Industry Person of the Year (2000). He was also awarded a doctorate. Bits and pieces of his auto-trade business were auctioned off to try to recover some of the debts incurred. 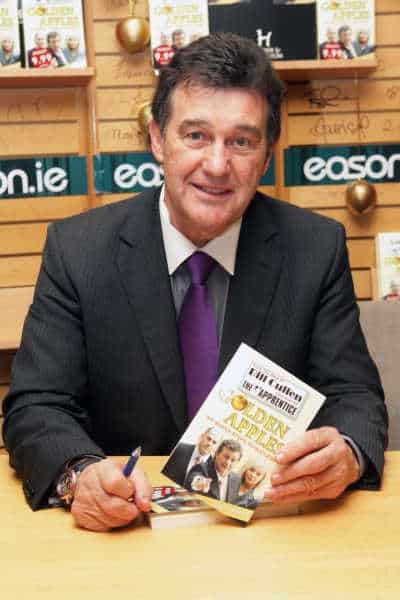 Cullen blames his auto dealerships’ woes on Ireland’s poor economy. (It says a lot that Cullen was one of the biggest creditors. Needless to say, he and the others didn’t recover much.) And the hotel he unveiled with such fanfare is losing money – big-time. Cullen is still heavily involved with philanthropic efforts. He’s also reportedly sinking his money (plenty is still left) into Irish athletics and politics. It will be interesting to see where this multi-faceted man ends up next.